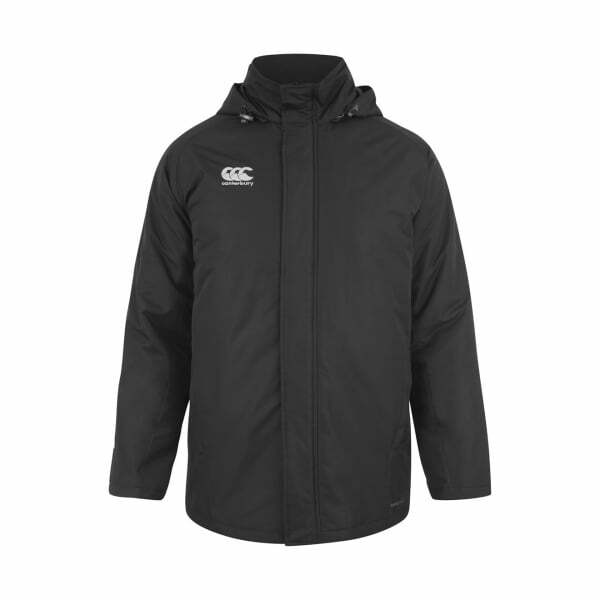 Continuing Canterbury’s commitment to ground-breaking technical design and cutting-edge fabric technologies, the highly durable Team Stadium Jacket features showerproof fabric so you’ll never have to worry about getting wet - whether you’re training on the field, heading to the gym for a session, or heading over to a mates place. With its 100% polyester padded liner, you’ll stay warm against the elements. Designed for both comfort and warmth, this jacket comes with a convenient concealed hood in the collar and a microfleece liner for extra warmth. Making the most of its classic design and practicality, the jacket has a full length centre front zip complete with a storm flap and stud fasteners, so you can wear it open or closed.